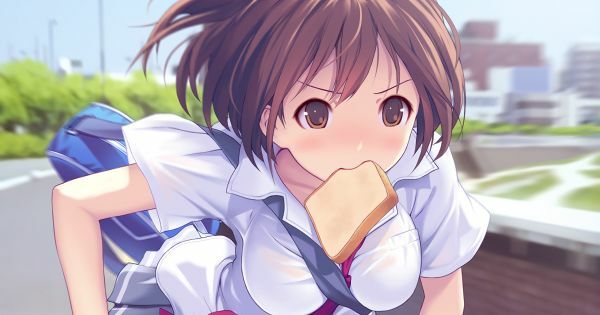 We're pretty sure many of you have seen a scene, be it in an anime series about school life or comedy, where a character is running late to school while holding a loaf of bread in their mouth. In reality, though, you might have never seen anyone do that. And yet, there's just something lovely about a character who is running desperately with a piece of bread in their mouth! Right? Today we are featuring illustrations of girls with bread in their mouths. Please enjoy! I’ll be late for school!